Are You Tired of Spending All of Your Time and Money on Marketing with Little to No Return on Your Investment? What if I Could Show You How To Find More Than $50,000 in Your Business, In Just 45 Minutes, Without You Spending Another Cent on Marketing? I know it sounds impossible, but marketing pioneer Wally Carmichael does it every day; find $10,000 to $50,000 of untapped income for clients in a matter of 45 minutes. And in No BS Business Breakthrough: How to Double Your Lead Conversions and Triple Your Revenue in Less Than 45 Minutes, he's revealing the powerful secrets of his success. Fact: Just a 10 percent increase to any 1 of these 5 profit areas will almost double your annual revenue. Using real-life examples, Wally outlines steps that business owners can take action on today to dramatically transform your bottom line immediately. With his guidance, you'll create self-sustaining systems that creates life-changing revenue and deliver true freedom. 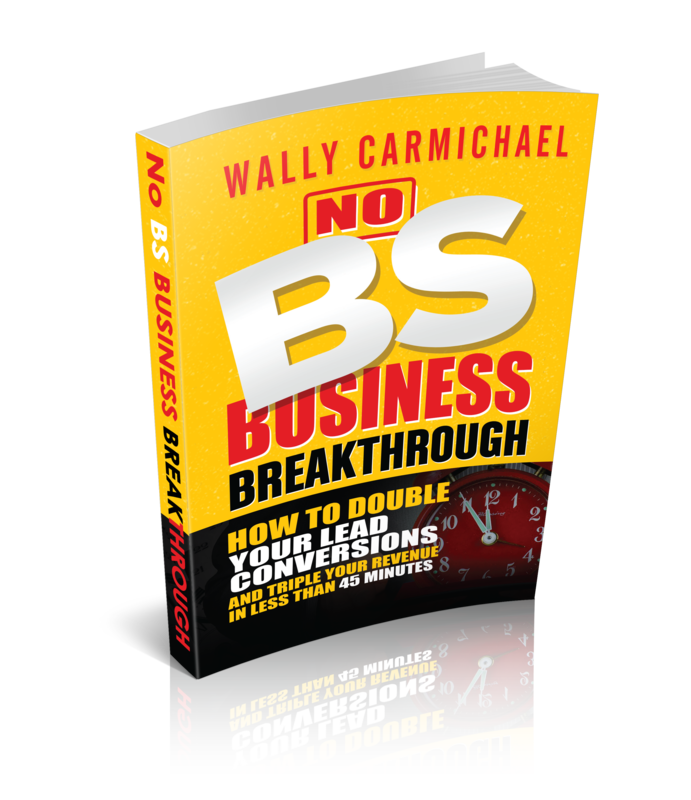 Stop deciding and start doing with No BS Business Breakthrough. Or would you rather have a free eBook version? No worries. It's my pleasure.